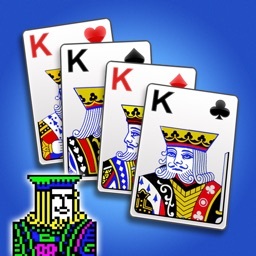 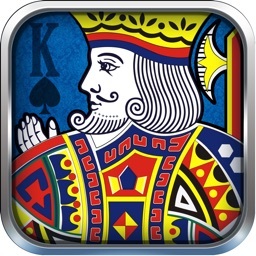 Play FreeCell. 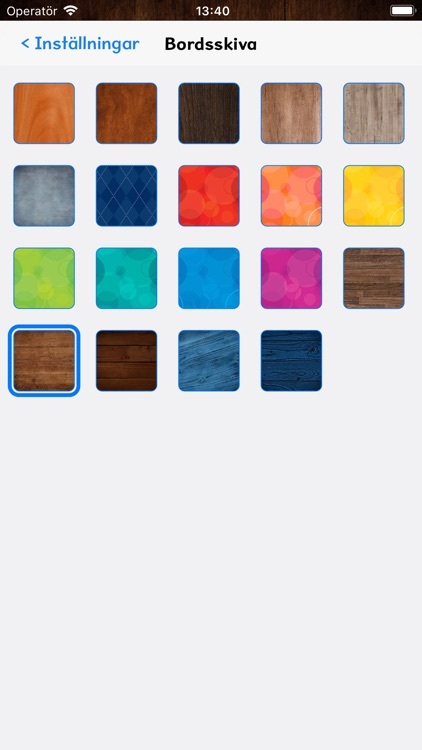 Options provided to change background pictures, change card appearance, have cards fly up to the suit stacks on their own or manually. 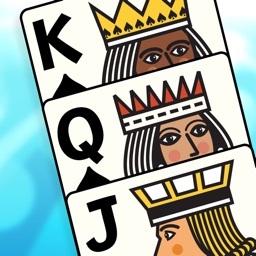 Instructions included in the app. Ads appear unobtrusively on the top of the screen but don't interfere with gameplay. HOW TO PLAY: Move cards between the 8 cascading stacks and 4 free cells to uncover cards so you can move them up to complete the suit stacks. 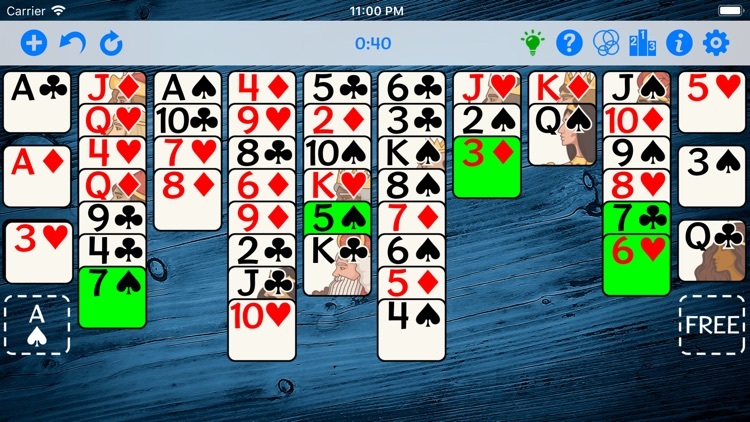 You can only move the top card of a cascading stack or a card in a free cell. 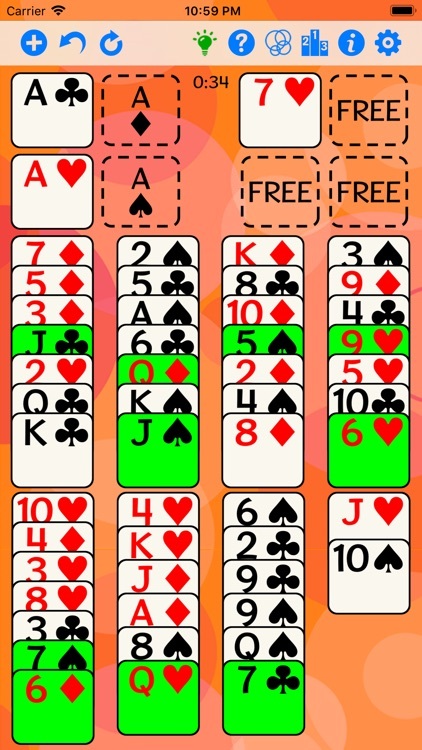 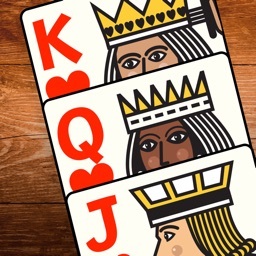 A card can be moved to an empty free cell; to the top of another cascading stack with top card of different color and one higher value; or to one of 4 suit stacks in ascending order from Ace to King. 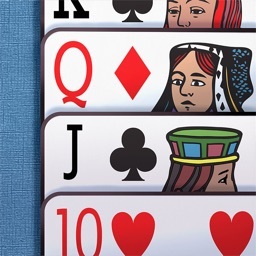 For example, 3 of clubs can be moved to a cascading stack with top card 4 of hearts. 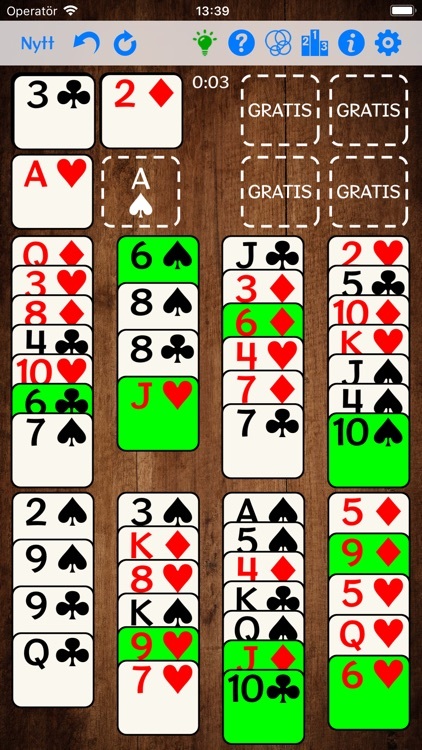 Any value card can be moved to an empty free cell or empty cascading stack.